Professor of Parasitology at Cardiff University. 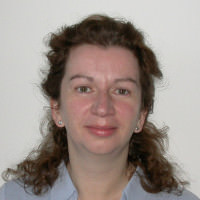 Jo Cable is currently Professor of Parasitology at Cardiff University. She works on host-parasite interactions, particularly the factors controlling disease transmission in aquatic ecosystems. More recently she has branched out into studying invasive non-native species, because of the many parallels between pathways of transmission for both infectious diseases and INNS. Jo previously served on the BSP council (2006-2010). Now as a founding member of the British Ecological Society Parasites and Pathogens BES Special Interest Group, she is particularly keen to promote research and teaching in ecological parasitology.